With new segment competition imminent, does Audi’s Q7 still have what it takes to stay on top? crankandpiston.com went to Switzerland for the international launch to find out. There’s a new dawn coming for luxury SUVs. The current crop of premium offerings is soon to be challenged by some of the world’s most luxurious manufacturers. Rolls-Royce, Bentley, Lamborghini, Aston Martin and Jaguar are just some of the brands bringing SUVs to market in the next few years. Trevor Hill, the boss of Audi Middle East, reckons the SUV market will be the fastest growing of all in the near future, and he’s understandably keen that the second-generation Q7 is on point. The current car is Audi’s best-selling model in the Middle East, and the replacement will need to be equipped to deal with the segment newcomers. So here it is. The new seven-seat Q7 sports a familiar look, but more sculpted and angular, with a face dominated by Audi’s ever-expanding family grille. It seems the days of continually increasing girth are on the way out when it comes to new cars; the new Q7 is 37mm shorter and 15mm narrower than the model it replaces, and a large amount of effort has gone into reducing its weight too. Most of the major components have been lightened, particularly the body thanks to copious amounts of aluminium. Consequently, the new Q7 is up to 325kg lighter than the old model, weighing in at just 1970kg, a move driven by a desire to improve fuel economy and reduce emissions. Hopes are high at the international launch in Switzerland that this will boost the driving experience as well. Less weight, in theory, means better handling. A briefing from the Audi PR team espouses the new car’s reduced bulk but also its myriad driver assistance systems. The days of the fully automated car are within sight, but currently restrained by legal stipulations. That means manufacturers, Audi included, are putting in as much self-driving tech into new cars as they can get away with to prepare for an inevitable change in the law. 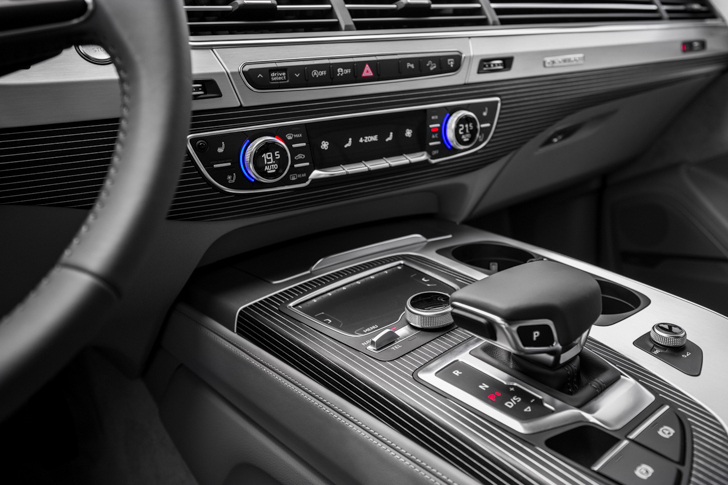 The Q7 includes a laboratory of sensors and cameras that serve as a helper to the driver, and it’s becoming increasingly clear that technology’s promotion to chauffeur isn’t far away. Adaptive cruise control, a system that spots when a pedestrian is about to carelessly wander into your path, an automatic parking button; just a few of the systems that serve as a safety net for the inattentive or incompetent. 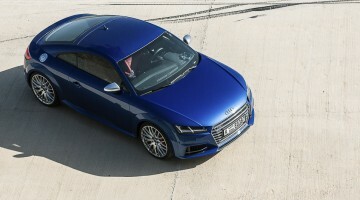 Inside the car, everything is familiar to the Audi aficionado, but individual elements have been tweaked and improved. The build quality is as top notch as always, the MMI system renewed and information displayed through a 12.3-inch screen that pops out of the dashboard, as well as an excellent screen that serves as the instrument cluster. It’s clear, well laid-out and stylish. What engine options are available? At launch, only one engine is coming to the Middle East. The sole petrol offering is a supercharged 3-litre V6 with 333bhp and 324.5lb ft, sent to all four wheels through a new, smaller, lighter and faster eight-speed Tiptronic transmission. That sounds like a decent amount of grunt, but hustling through the switchbacks around the Alpine town of Verbier, it feels like it’s working hard to pull the Q7 and two occupants up the mountain. Considerable revving is needed for brisk progress, and the top-spec 3-litre V6 diesel option, available in other markets, is a much better match to the character of the car, with 442lb ft of low-end torque to haul us along with seemingly little effort. 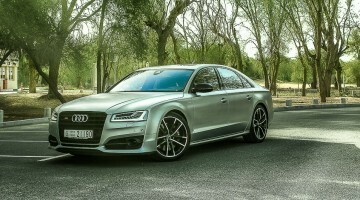 No V8 has been announced for the Q7. One is likely to follow eventually, although the expected SQ7 is likely to be fuelled by diesel rather than petrol. Audi Middle East is mulling the introduction of a small number of diesel Q7s to the region when the car launches in September. 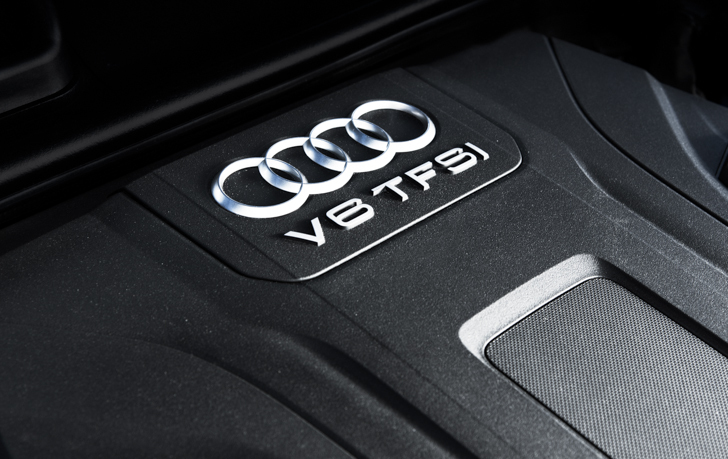 Although the V6 made up the majority of sales for the last generation Q7, some 30 percent of customers wanted a V8, so the demand for extra grunt is there. With rivals – most notably Range Rover – providing V8 options, and better diesel fuel availability particularly in the UAE, it’ll be intriguing to see if the Audi faithful are persuaded to try it in the search for more power. 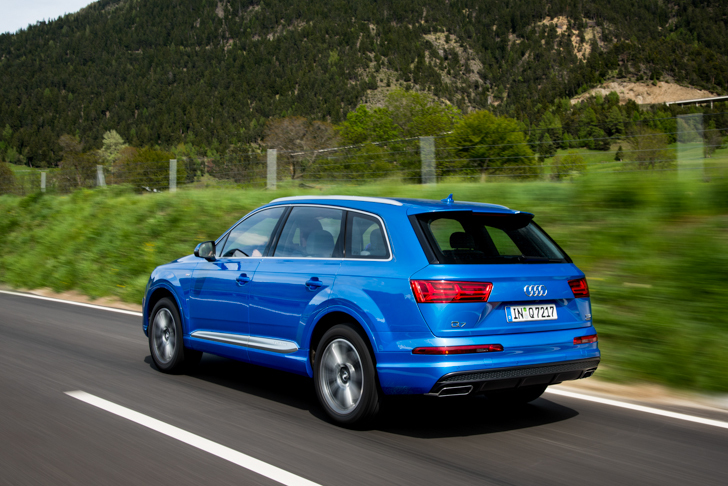 How does the new Q7 drive? Different drive modes are available, but are of relatively little consequence in the Q7 – Dynamic mode feels hardly removed from Comfort, save for a slightly sharper throttle response. The handling is competent, with body roll contained well but the steering feels too light and texture-free to fit in with Audi’s claims of sportiness. Involvement and exhilaration are not to be found here, although in fairness, they were not expected. Push the car into corners and it’ll cope well for its size, resisting understeer under power out of the apex and providing impressive brake performance, but despite the assistance of all-wheel steering (which also reduces the turning circle by a metre), there’s nothing about the way it drives to urge you on. What the Q7 does very well is cosset its occupants. Build quality is superb, ride comfort is fine and the revamped MMI infotainment system is intuitive and clever. Particular note must go to the optional Bang & Olafsen sound system – 23 speakers and 1920W of crystal clarity that massage the eardrums exquisitely. It’s no exaggeration to say that after streaming music from my phone through the Bluetooth system, I heard aspects of my favourite tracks I’d never noticed before. Audi would have you believe that the reduction in weight adds driving pleasure to its latest release, but that would be a stretch. If you want excitement, wait and see what the promised SQ7 delivers – Audi reckons big power will be its forte when it comes to competing with the new luxury competitors. 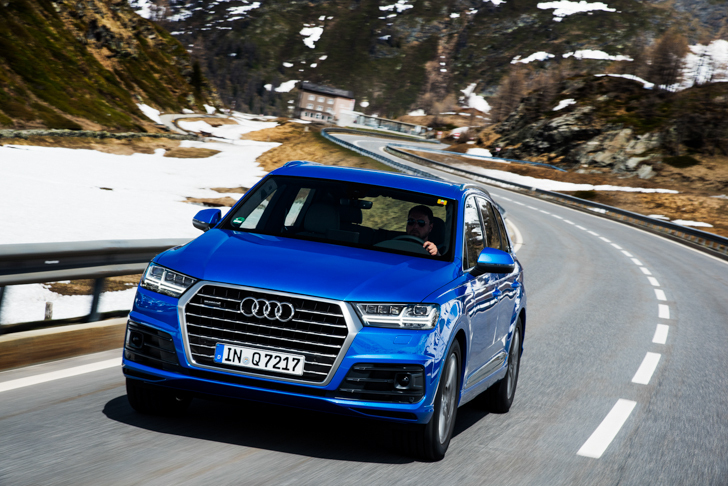 For now, the new Q7 builds on the strengths of the outgoing model, with better practicality, increased efficiency, more comfort and an unrivalled sense of quality. If that’s what you’re looking for in an SUV, then Audi has what you need. Phill Tromans has been a professional writer since 2001 and has specialised in motoring since 2005. After three years working in the UK he has worked for various titles in the Middle East, focusing on new cars and the industry, as well as motorsport. He also has a sweet collection of sneakers.